Being a working mother or for that matter when one becomes a mother the salon visits takes the last seat in things to do list and a mom is always divided in going or not going to a salon. This goes to an extent that a mother does everything to keep extending her visit to a salon by weeks And in the efforts to do so one switches to full sleeves from half sleeves, sort dresses goes into jeans and all long format of dresses to hide off the unwaxed and uneven full growth of body hair. Eyebrows are always in thier natural state – fully grown, messy & out of shape. 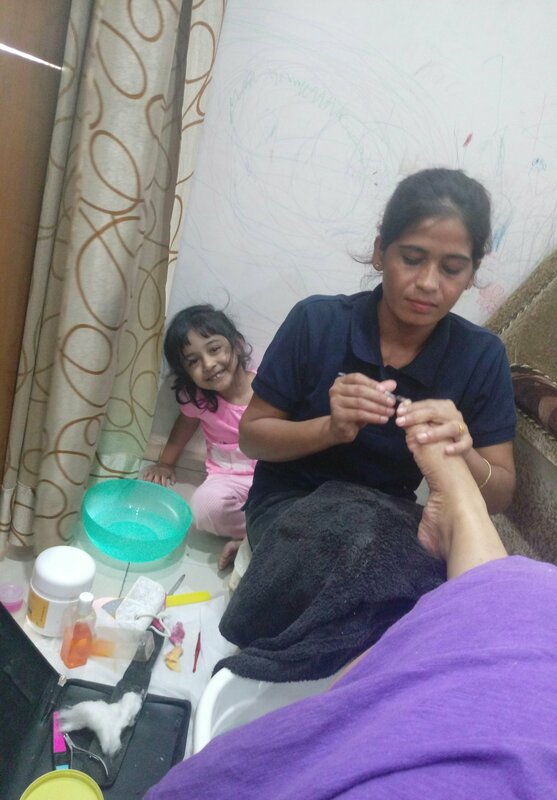 Facials, Mani pedicure are pure luxury always out of reach of every mother with kids under 2 yrs. I had been through this phase and now have the luxury to go to salon on weekends and kill my 2 to 3 hours, though the kids are only 4 year old now. But these trips are always guilt trips as I am always thinking that I can spend this time with my kids. But when I came across these home salon services, I was pretty excited that this should definitely help me get the needful done from the comfort of my home. 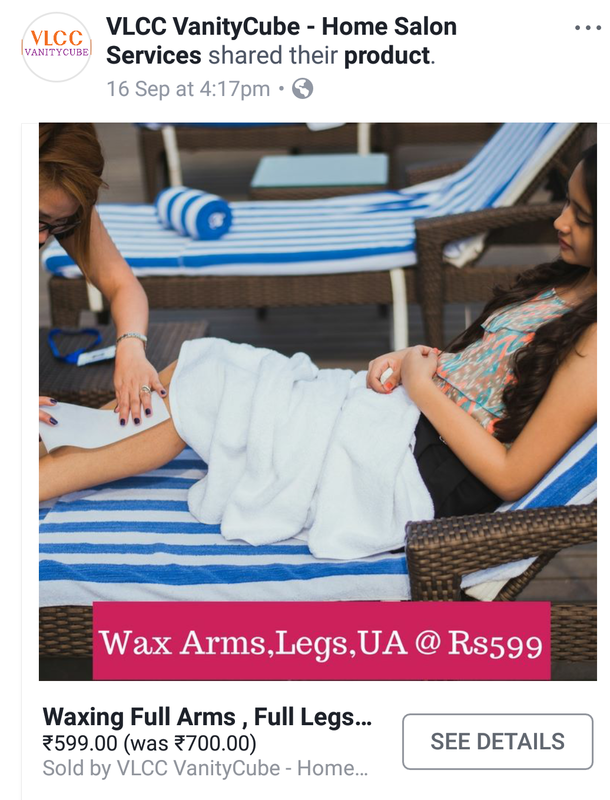 So the month VLCC vanity cube started it’s operations in Ghaziabad catering to Indirapuram, I booked myself for a full body wax and a manicure pedicure for the weekend. Got a great Special combo offer and all the above service came for Rs. 1098/- and that was a very good deal on a cost lesser than what I normally pay at a Salon. Ms Poonam – the beautician who was assigned to service me, arrived on time with a big travel bag, that had everything to pamper me with the services I had opted for. 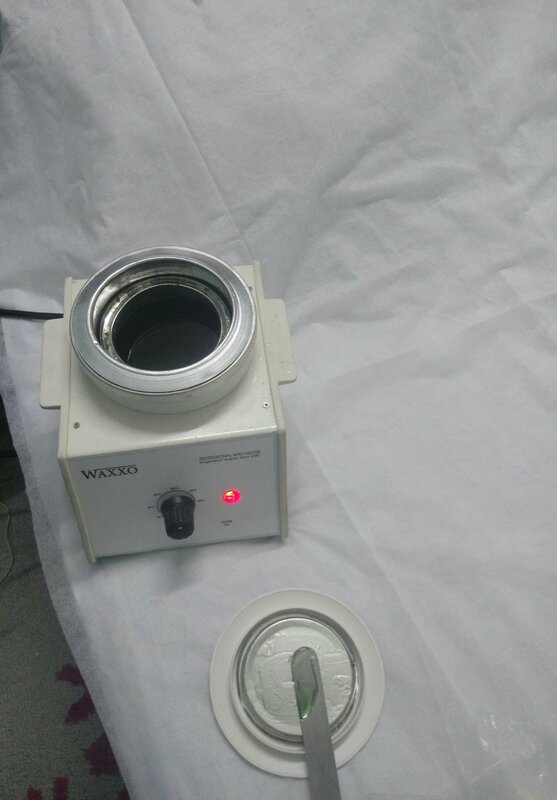 It was for the first time that I got full body waxing done on the comfort of a double bed and the difference was clearly in the experience I had. And I won’t be surprised if this becomes a routine. Next she made the Mani pedicure things ready, filling the pedicure tub with water and taking off the nail paint off my nails to start with the process. My kids enjoyed watching their mom going through all this and constantly kept teasing me ” Mumma aunty is making you beautiful”. I was like yes baby she is making my hands and legs beautiful. And I know soon this is going to embarrass me in front of outsiders that an aunty came to make Mumma beautiful. That’s how kids are. My hands were done first. And by the time she came to legs for pedicure, it was lunch time, so I started having it while she was doing the pedicure. And that’s when I thought to myself, this is probably first multi tasking weekend where engaging my kids in their craft book, pedicure and lunch all were happening at the same time. 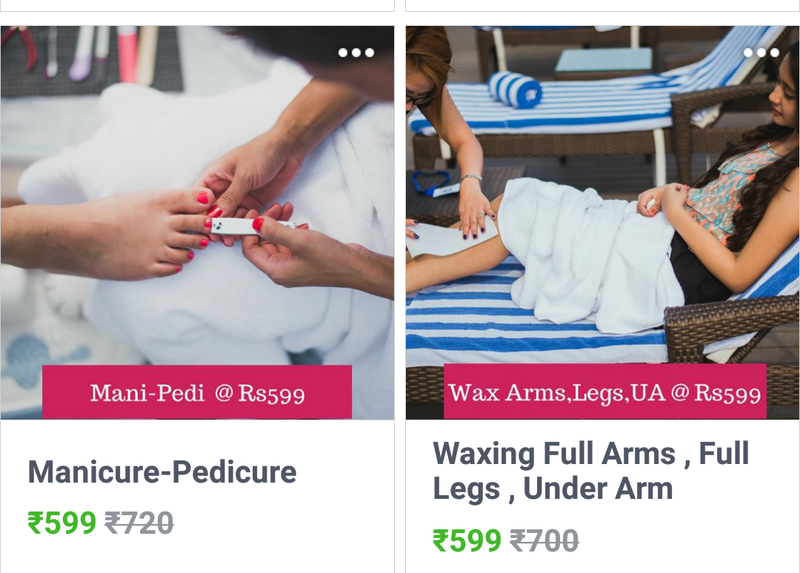 Best part was the wrap up session, she had carefully removed all disposable sheets and discarded them and everything was done so neatly leaving no traces of a waxing and Mani pedicure session behind. So overall this was a pure luxury to stay Indoor and get the required service done without having to step out and waste time waiting for my turn to come. And being on guilt trip. I am sure I will try more such services at Home now. So here’s my quick tips on why to call a Salon at Home services to serve you? Don’t have to worry on the hygiene as you can opt to use your own clothes and towel at Home else the Disposable gowns are at your rescue. A salon trip seems less of a guilt trip more of a pampering when you take it at home. Your family knows what you getting done, they don’t have to be worried why it is taking so long. As I have always got a call while at Salon asking me how long it’s going to take. Stay home and feel like a princess while you are being serviced. For me salon at Home is the new drug and I am already planning to book my next appointment. My next on list is going to be a keratin treatment, as I can’t afford to sit for so long in a salon. 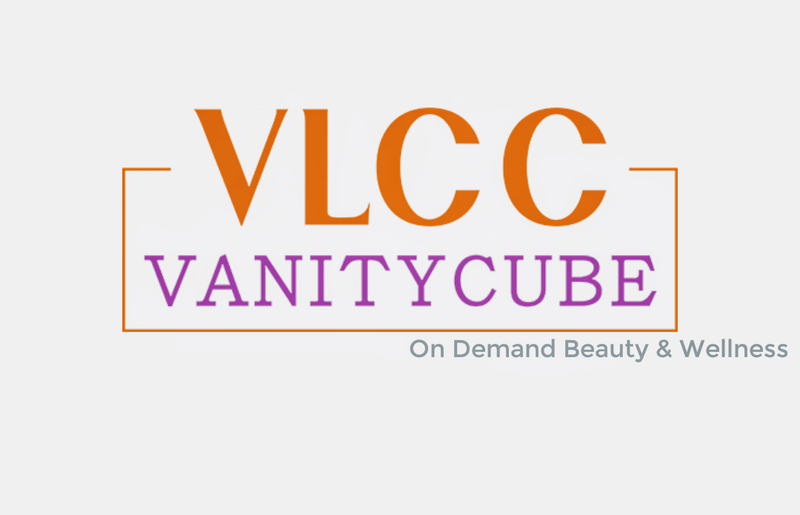 And Vanity cube is going to be my solution for all these services at Home before I try something else. So a very strong recommendation to you lovely ladies to ditch the salon next door & try a salon service at home. There was this beautician named Usha, the way she did her work was really good. Hope to have her wenever i take appointment with u vlcc.